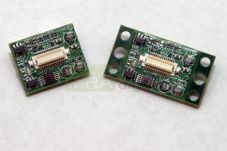 Our SVGA driver boards (SVGA-800S, SVGA-800S+, SVGA-815) are design to drive SVGA-XL and SVGA-3D OLEDs. 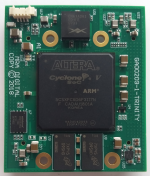 These boards are designed to meet almost every application requirement. Everything from HDMI digital audio, digital RGB input, to dual HDMI video input to enable 3D content on the SVGA OLEDs are supported. You can even drive these products using an iPhone and most Android enbaled handsets. 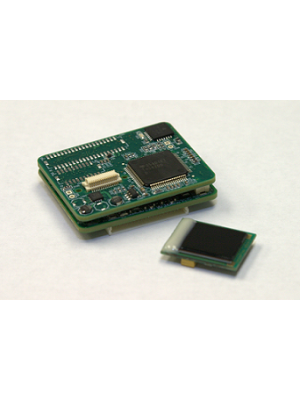 This feature allows for even more portable applications to be developed using the SVGA OLEDs. For those tight space requirements applications the 800S+ and the 815 product families can be purchased with a remote option that allows the OLED to be driven up to 5 feet away from the main drive board using our custom made cable assebmly. WiIth the remote option, the OLED connector board is the same size as the OLED. A micro-controller is included on the driver board which is used to adjust the brightness, RGB gain and offset values. Custom firmware builds are available.Our drivers are designed to be cost effective and easy to use.